There are so many fun things that I continue to discover about Walt Disney World, even though I've been visiting for almost 40 years. The other day I was in Adrian & Edith's Head to Toe at Hollywood Studios. This small shop on Hollywood Boulevard features emboidered items that guests can have personalized. Although I've been in this location in the past, I can't remember ever looking up. When I gazed toward the ceiling, I was amazed to see how tall this part of the building was. It extended up several stories in a tower like structure. 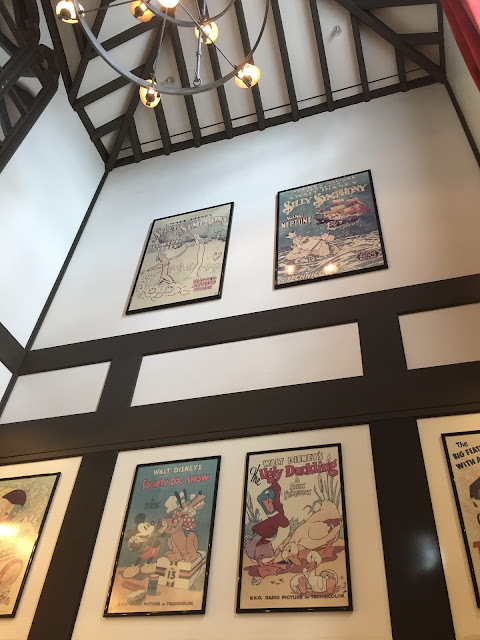 There were even vintage movie posters hanging high up on the walls. I enjoyed discovering these previously missed details.